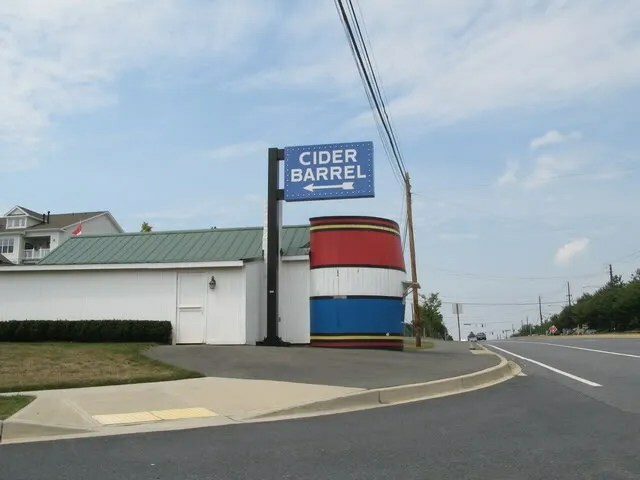 Germantown, Maryland is home to this interesting relic of the roadside. 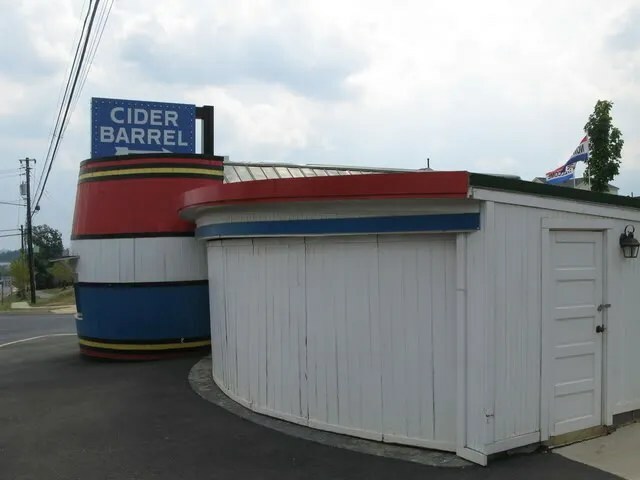 A great example of programmatic architure, the cider barrel was built in 1923, and sold cider, hence its name and shape. With a new development behind it, here’s how it looks today. 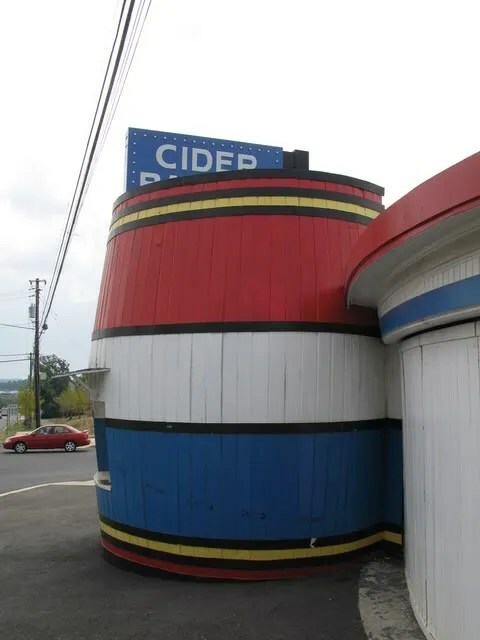 This entry was posted in Diners / roadside related, Roadside attraction and tagged architecture, cider, Cider Barrel, Germantown, Germantown MD, giant barrel, Maryland, programmatic architecture, red white and blue, roadside, Roadside attraction, worlds largest by Spencer Stewart. Bookmark the permalink. When I was young my parents visited my Aunt in Damascus many times. 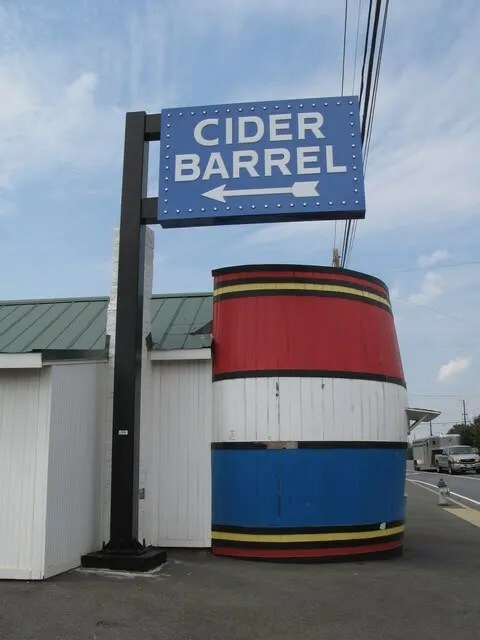 We stopped at the Cider Barrel often. 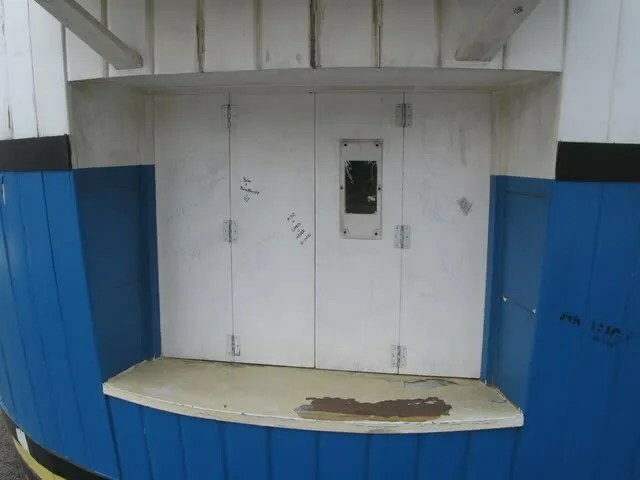 Keep up the good work with the memories. You may like my Blog, Boomer Twilight.